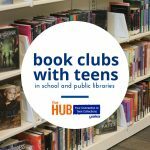 In her post for the Hub introducing readers to the Global Literature in Libraries Initiative (GLLI), Lyn Miller-Lachmann explained why books from other countries, both translations and English-language imports, are important to teens. 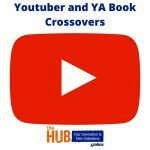 As a follow-up, this post will share some of my favorite resources and tips for finding global books with YA appeal. 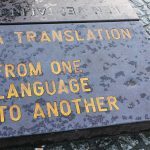 Start with the United States Board on Books for Young People (USBBY) (the U.S. chapter of IBBY, the International Board on Books for Young People) Outstanding International Books List, an annual list of about 40 translations and English-language imports for readers K-12. Every year the annotated list appears in the February issue of School Library Journal. The USBBY Outstanding International Books award page links to the SLJ list and also includes a printable bookmark and a very cool Google map showing where the books are set. You may have heard of these two novels from the 2017 list that have received a lot of buzz: Socorro Acioli’s The Head of the Saint (Delacorte), from Brazil, translated by Daniel Hahn; and The Lie Tree (Amulet Books/Abrams), from UK author Frances Hardinge. But chances are, you have yet to discover Jesper Wung-Sung’s novel The Last Execution (Caitlyn Dlouhy/Atheneum), translated from the Danish by Lindy Falk van Rooyen and based on the true story of the execution of a teenager in Denmark. Or Anna Woltz’s A Hundred Hours of Night (Arthur A. Levine/Scholastic), translated from the Dutch by Laura Watkinson. This is one of those fascinating books that reflects our own country back to us through outsider eyes – in this case, the eyes of a 15-year-old Dutch runaway trapped in New York City during Hurricane Sandy. The Mildred A. Batchelder Award is the U.S. award that recognizes a publisher for the best children’s translation of the year. Very often Batchelder winner and honor chapter books are perfect for tweens and teens, but sometimes the picture books are appropriate for older readers, too. The 2017 Batchelder winner, Cry, Heart, But Never Break (Enchanted Lion Books; written by Glenn Ringtved, illustrated by Charlotte Pardi, and translated from the Danish by Robert Moulthrop) is a good example. The strangely comforting figure of Death tells four children whose grandmother is terminally ill an allegorical story to ease their pain. This poignant and nuanced book provides a great prompt for a teen discussion about life, death, and storytelling. Translation awards from other countries can also turn up gems. 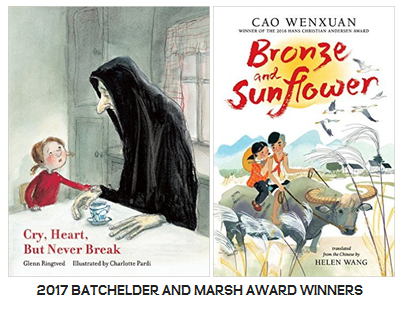 In the U.K., this year’s Marsh Award for Children’s Literature in Translation was awarded to Helen Wang for her translation of Bronze and Sunflower by Cao Wenxuan, first published by Walker in the U.K. and scheduled for release by Candlewick in the U.S. on March 14. Perfect for tweens, it is the first of this celebrated Chinese author’s books to be translated into English. 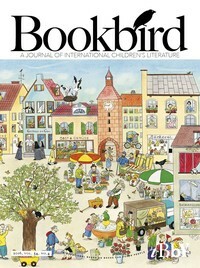 With country, genre, and subject theme issues, Bookbird, the quarterly journal of IBBY, is an excellent place to find out about books from other countries. Watch especially for their Hans Christian Andersen Awards issues. Administered by IBBY, the biennial Andersen Awards, commonly called “the little Nobel,” recognize an author and illustrator who have made a lasting contribution to international children’s literature. The latest Andersen issue (Vol. 54.4) features articles about the Hans Christian Andersen Award winners and finalists for 2016, while Volume 54.2 featured one-page profiles of the 28 authors and 29 illustrators nominated for the award by IBBY sections around the world. For example, you will learn about the above-mentioned author Cao Wenxuan, the first Andersen winner from China. Don’t miss the Bridges to Understanding series of annotated bibliographies, a five-volume reference set sponsored by USBBY and published byScarecrow/Rowman & Littlefield. The most recent is Reading the World’s Stories (2016), edited by myself, Theo Heras, and Susan Corapi, which includes titles published 2010-2014. This project was accomplished over five years with the help of 40 annotators and input from many U.S. and international colleagues. Background essays and listings ofawards, organizations, research collections, and firms that publish global books supplement the geographically organized bibliography. Just for fun, go to a country you know little about and scan the page until you see an entry with a YA reading level. Or look up “Young Adult” in the subject index and randomly choose one of the page numbers. All of the books are recommended, and many have won awards in their home countries, so you are in for a reading adventure! Don’t forget the Printz…and the Inkys! Unlike ALSC’s best-known awards, the Newbery and Caldecott, YALSA’s book awards are open to books first published outside of the U.S.. It’s not unusual for Printz winners and honor books to be from Australia (Melina Marchetta, Markus Zusak, Margo Lanagan), Canada (Kenneth Oppel, Allan Stratton, Beverley Brenna), the U.K. (Marcus Sedgwick, David Almond), and on occasion, Ireland (Louise O’Neill) and continental Europe (Janne Teller). A number of national awards in other countries also embrace books from around the world. Check out the Australian Inky Awards, run by the State Library of Victoria, a teen reader’s choice award. There are two Inky Awards: the Gold Inky for an Australian book, and the Silver Inky for an international book. The 2017 longlist for the Gold Inky includes Zana Fraillon’s The Bone Sparrow (Disney-Hyperion), a lyrical novel set in a grim Australian refugee detention center, and Nevernight (Thomas Dunne Books) by Jay Kristoff, the first in a new fantasy series. One way to keep up with international books is through USBBY. Their next conference, with the theme “Radical Change Beyond Borders: The Transforming Power of Children’s Literature in the Digital Age,” will be hosted by the University of Washington Information School in Seattle, October 20-22, 2017. You can also follow GLLI on Twitter, like our new Facebook page, and check the resources on our website. 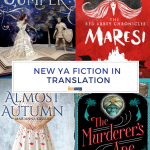 And watch for more GLLI roundups of forthcoming international YA here on The Hub to keep up-to-date on what’s new in international YA! 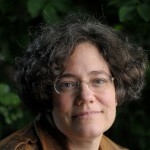 This guest post was contributed by Annette Y. Goldsmith, a Los Angeles-based Lecturer for the University of Washington Information School, as part of GLLI @ the Hub! Thanks for bring the awards and publications together Annette. Should be helpful to those seeking international titles for YAs.